Last week, I had the luxury and privilege of spending a couple of days with some 70 educators, administrators and professors at a remarkable conference on Jewish day school education, Inside Jewish Day Schools, hosted by the Mandel Center at Brandeis. Many things about the conference felt fresh, even pathbreaking to me. The focus entirely on day schools, within an academic setting. Attention paid to challenging subjects from contemporary society that rarely get addressed in the day school context: race, gender/sexuality, class. A screening of excerpts from the movie Race to Nowhere, with frequent interruptions in which we grappled with questions about homework. The framing notion of the “grammar of day schools,” component features that are accepted as a given. Addressing some of the big, catbird-seat questions about Jewish studies.
. . . the barrier between “academics” and “practitioners” of Jewish education appeared, for two days, entirely permeable . . .
At the Jack, Joseph and Morton Mandel Center for Studies in Jewish Education at Brandeis, we’re used to hosting conferences of various sizes. At least once a year and usually more often, we bring together groups of scholars, practitioners, and other stakeholders to share ideas and learn from one another. But each time, those first moments catch me off guard. After all the planning, all the coordinating and communicating, all the preparation, people show up on campus and this thing—which had been abstract and conceptual—emerges into a concrete existence. It’s kind of miraculous. Our conference this year, chaired by my colleague Jonathan Krasner and me, focused on Jewish day schools. But more specifically, we wanted to draw attention to questions of teaching and learning. Hence our title: “Inside Jewish Day Schools.” Some of our plenary sessions explored questions of race and ethnicity, class and economic justice, and gender and sexuality. Other sessions focused on pluralism, teacher preparation, and teachers’ conceptions of purposes, as well as on the teaching and learning of classical Jewish texts, Hebrew language, and Israel. In the coming days, we will share some reflections from conference participants, cross-posted with our colleagues at Prizmah. Today, we offer two: one from Dr. Sarah Levy, Director of Jewish Life and Learning at Denver Jewish Day School, and a second from Rav-Hazzan Dr. Scott Sokol, Head of School at MetroWest Jewish Day School in Framingham, MA.
. . . these sessions focused on some of the biggest challenges in American education today and highlighted that day schools, while unique in the educational landscape, are not unique in other ways . . .
After the first roundtable, a session called “Embracing Diversity, Teaching Equity: Race and Ethnicity in Jewish Day School” … it seemed as if we were left with lots of questions and no answers. And that was the theme of the afternoon as a session about gender and sexuality was followed by a session about privilege and class, and a session about the emotional climates in Jewish day schools ended the day. During each session, the conversation focused on challenges that are prevalent in Jewish day schools, but not the kinds of challenges that are usually the focus of day school conferences. We didn’t focus on the questions that tend to occupy our daily thoughts in the world of practice such as meeting our fundraising goals, lowering attrition, raising the bar for academic excellence and supporting our teachers in 21st century methodologies. Rather these sessions focused on some of the biggest challenges in American education today and highlighted that day schools, while unique in the educational landscape, are not unique in other ways, and these are all topics that need to be addressed in our schools. Equity in education is something to discuss, even amongst our population, as race and ethnicity impact our students both inside and outside of our buildings. Questions about gender and sexuality concern our students, not in spite of the fact that they are Jewish, but sometimes even more so because they attend Jewish day school. Economic and class distinctions impact the nature of our schools and who attends our schools. Sure, we’re not driven by standardized testing in the same way as public schools, but the pressure to succeed is just as high, if not higher. 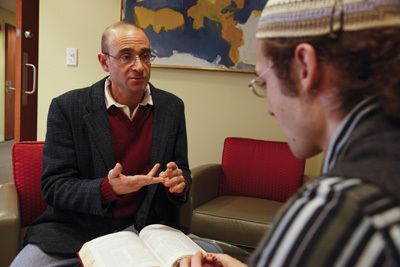 Today, Jon A. Levisohn, the Jack, Joseph and Morton Mandel Professor of Jewish Educational Thought at Brandeis, becomes the Mandel Center’s second director. Founding director Sharon Feiman-Nemser will continue at the center as senior scholar and continue to teach at Brandeis. In honor of the occasion we offer these thoughts from Jon about the Center’s future direction. What is the biggest challenge facing Jewish education today? And how can we address that challenge and contribute to a thriving, vibrant Jewish community? We’ve been thinking about these strategic questions over the last eighteen months or so. As we planned for our leadership transition, we knew that we wanted to take advantage of this moment to clarify what we want the Center to be and do. Our answer to the first question, about the biggest challenge facing Jewish education, is this: We believe that Jewish educators, policy makers, lay leaders, and curriculum and program designers are flying blind. 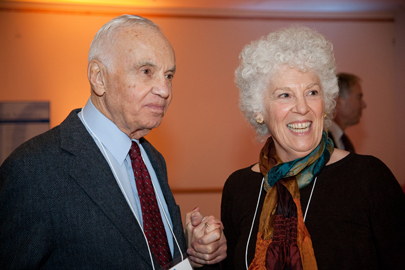 The Mandel Foundation, in partnership with Brandeis, established the Mandel Center in 2002 as an expression of the Foundation’s commitment to the importance of research in Jewish education. Research is not valuable for its own sake. Rather, research helps to build a knowledge base for teaching and learning in diverse Jewish educational settings. Rarely does research tell us “what works.” Rarely does research tell us, definitively, where to invest and where not to invest. But good research – disciplined inquiry based on systematic analysis of evidence and rigorous construction of arguments – helps us to understand practice better, provides us with powerful ideas to guide practice, and generates images and language and tools that can strengthen the work of practitioners. 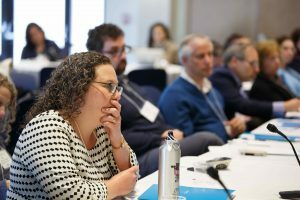 The future of Jewish educational leadership will depend on creating environments where professionals can continue to learn and grow, according to Rabbi Marc Baker, head of school at Gann Academy in Waltham, who spoke recently at the 10th anniversary colloquium and celebration of the Mandel Center for Studies in Jewish Education.